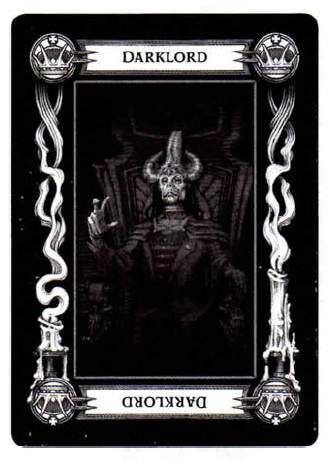 There is very interesting moment in the Curse of Strahd module that is not given enough attention in the module, and this is the invitation to Ravenloft. A fine dinner with the lord of the land. Strahd writes the letter himself and has one of his minions deliver it to the adventurers, expecting them to come. This is one of the module’s peaks. Depending on the case this could be the first time the adventurers encounter Strahd, or it could come after a few encounters with him also. It is a great opportunity to build upon this villain’s charisma and personality. The moment to start building a pact of enmity between the PCs and your BBEG. Let’s discuss some particularities about this part of the adventure. 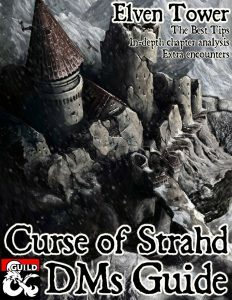 Curse of Strahd is a very sandbox-style campaign and the course of events will vary from table to table, depending on the DM and players alike. For one group you might judge to introduce Strahd earlier while you could choose otherwise with different people. Strahd can come in and out of the spotlight at any time, it is his land, and he is the land. There’s nothing wrong with having him show up and throw some acid remarks to the PCs after they exit the Death House. Or you could also wait and have everybody talking about this Count Strahd; the PCs will be so curious about him, but he might not bother showing himself until the PCs prove themselves worth the time. And talking about that, the book includes four moments when the Dinner invitation can be delivered. Page 108.- If a PC comes up with the idea of saying Strahd’s name to the magic mirror, he can appear and invite them through the mirror. Page 124.- If the PCs prevent or stop the St. Andral’s Feast event in Vallaki (page 124), Strahd visits Lady Wachter and writes the letter. The letter is delivered by Ernst Larnak or one of the Wachter brothers. By the way, if this event is not stopped, Strahd kills Father Lucian, the town revolts and the Vallakovich family is stoned to death in the main square. Page 156.- If Ireena gets as far as Krezk and she is reunited with Sergei Von Zarovich, Strahd blames them for his failure to get Ireena and vows to kill them. He sends the letter then. Page 172.- If Ezmeralda is introduced into the module at Van Richten’s tower, it is assumed she just tried to confront Strahd unsuccessfully. After this, Strahd sends the invitation to the party expecting Ezmeralda to show up. Killing the hags at Bonegrinder. Getting rid of Vargas Vallakovich. Causing a revolt in Vallaki. Acquiring one of the artifacts. The invitation is a prop you have to show to the players, it’s at the end of the book. As written, it includes some important information. It says that Strahd is the one who brought the party to Barovia and that he is the only one who can let them out. That should be motivating enough to make the party visit Castle Ravenloft. The letter also states that it is a dinner invitation and that Count Strahd wishes to talk in a “civilized manner” and that safe passage is part of the deal. This is important because Strahd is legal evil. Because of the “legal” part, he will be inclined to follow this arrangement and that is good, this is a great roleplay opportunity. A fireball after a few words would only work against the conversation encounter we are trying to create. 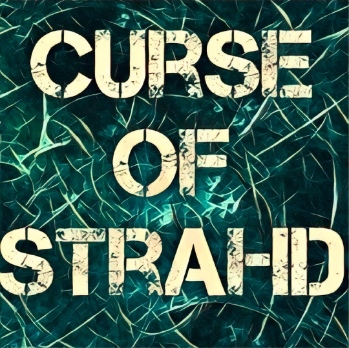 As long as Strahd’s conditions are respected, he will respect the letter; offering a dinner, a civilized conversation and safe passage after finishing. It will probably not be that safe, or civilized; because of the PCs, not Strahd himself. It is clearly stated that Strahd is aware of the adventurer’s presence in his realm, and in some cases (depending on the adventure hook) he is guilty of bringing them to Barovia. Strahd does this all the time because he likes breaking people and he is looking for a successor. However it can be assumed that most people brought to Barovia don’t even stand a chance against Strahd, so he is easily bored with all these visitors. Unless of course they do something out of the ordinary, that’s the moment when Strahd goes out of his way and invites them to dinner. When the adventurers decide to go to Castle Ravenloft, they will not be bothered by any of Strahd’s creatures. The black carriage will even be waiting for them to bring them to the castle’s doors. Rahadin, Strahd’s second in command will receive them in area K8 (page 55) and lead them to the dinning room. As written, the dinning room is set for a fine dinner and Strahd is playing the organ when they come in, but this is just an illusion that plays the part of the gracious host. After 20 seconds it vanishes and the adventurers are left alone. This is very bland and anticlimactic. My suggestions is to change all this descriptive text. The real Strahd will be the one playing the organ, he will then sit in the main chair and invite the adventurers to sit and dine with him. First of all comes introductions . Strahd will formally introduce himself as Count Strahd Von Zarovich, son of Barov and Ravenovia, rightful lord of Barovia. He might even tell a brief history of how he conquered the valley hundreds of years ago, fighting a war against his family’s enemies. Strahd will expect the party to also do the same. He already knows a lot of things from his spies and divination magic. If the party has already worked alongside Ismark and Ireena he will warn them that they are meddling in very dangerous affairs. Strahd will explain that Ireena’s soul belongs to him alone and he will suffer their intromissions no longer. Strahd can tell them a story; He explains how a long time ago there was a beautiful maiden in a riverside town named Berez, her name was Marina and she was to be his bride. Unfortunately the burgomaster and the priest killed her to avoid this ceremony. Enraged, Strahd killed them both and then made the river overflow and flood the place turning it into a marsh, killing scores of people and destroying a town. If the party was invited after Ireena was reunited with Sergei, Strahd will peacefully and formally make a vow of vengeance against the party, he will promise to kill each one of them and turn them into vampire spawn under his eternal command. If St. Andral’s Feast was prevented, Strahd will tell the party that he is tired of the Vallakovich family controlling his town. He will ask them to go and “liberate” Vallaki from such a toxic family (yes, this is a quest given by Strahd, testing for worthy successors). If there is an elf or half-elf in the party, specially if it is a woman, Strahd will tell them a story. When Strahd conquered the valley, there was a community of elves whose lives were spared, they went on and lived among the Vistani. Patrina Velikovna was a beautiful elf maiden who Strahd seduced. When the community learned of this, they stoned her to death. Her brother Kasimir lead this act. When Strahd discovered what had happened he visited them, butchered all the female elves, and then mutilated Kasimir’s ears for standing in his way. Since then there are only male elves in the valley, they will slowly die helpless. After the story Strahd can offer a female elf to be his bride, or else suffer the same consequence as the other elves. Depending on the conversation, or if Strahd suspects lack of cohesion in the party, he can reveal that he is looking for a successor; that he is gauging and evaluating them to see if one of them, if any, is worthy of this honor. These are just ideas to get you started. The purpose of the meeting is to sow fear and discomfort in the party, and to get more acquainted with their gracious host. Strahd is just having fun, after all, he’s been alive so long that this small moments of novelty are very interesting to him. It’s important to portray that while Strahd is strong and will test the party in battle. He also enjoys breaking people with words, maybe even more that fighting. He doesn’t wish this invitation to become a skirmish and will try to keep things civil. But if the PCs put to much pressure he will attack and kill one or two of them, leaving the rest alive to escape with their fallen comrades (they might later come back with the help of the dark powers, or maybe as vampire spawn). Thank you for publishing part of your guide for free. I just purchased it for myself! Great work.. Would love to hear what you’d recommend in the case of characters that were invited to dinner after Ireena was reunited with Sergei. Why not kill them outright? Does he believe he can still find her in another plane thus is interested in perhaps finding a successor – even if the characters “saved” Ireena?